Established in 2004 by Sam McKee, McKEE Consulting began providing engineering services to builders in the Gladstone region. Interest in the company quickly grew and our regular clientele now include registered builders, draftsman, architects, developers and first time builders in the regions from Bundaberg, Agnes Water, Tannum Sands, Boyne Island, Calliope, Benaraby, Gladstone, up to Yeppoon and westward to Gracemere, Rockhampton, Biloela, and surrounds. We successfully service a large market of the Central Queensland region. McKEE Consulting has recently opened another office in Southern New South Wales and provides a full range of services to Bega, Bemboka, Bermagui, Bodalla, Brogo, Cobargo, Eden, Eurobodalla, Merimbula, Moruya, Narooma, Tathra, Tilba, Tura Beach, Wallagoot. Our skilful team of engineers and draftsman and all our engineering services are coordinated and overseen by Chief Engineer Sam McKee, a Registered Professional Engineer, Queensland (RPEQ 6920). Sam McKee graduated with a Bachelor of Engineering (Civil) from the University of Technology, Sydney and has also obtained a Masters of Engineering Science (Engineering Management) from the University of New South Wales. 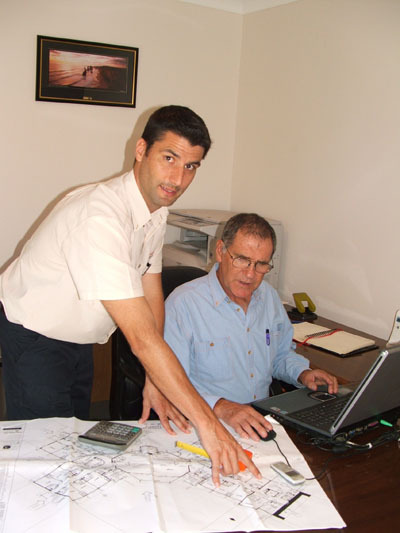 Sam McKee's career began in 1989 on civil and structural engineering projects throughout NSW. With 10 years of experience and a wealth of knowledge, Sam relocated to the United Kingdom and France. He established himself as a Freelance Consulting Engineer and specialised particularly in Residential Construction – Structural and Civil design and site supervision. In 2003 he returned to Australia and settled in Boyne Island, Queensland. He obtained the RPEQ registration in Queensland and established McKEE Consulting Pty Ltd.
Sam is a recognised member of The Australian Institute of Engineers. Today, McKEE Consulting operates a successful engineering company within Central Queensland and South Coast New South Wales. Our company’s success is based on our ability to recognise the diverse building and construction industry and product range, bringing to you the latest in engineering products and services. Our designs are technically superior, reliable and suitable for your individual needs. Maintaining our successful service record is paramount and our professional team look forward to servicing your needs in construction design and build, now and in the future. To engage the professional, yet friendly services of the McKEE Consulting team please email info@mckee.com.au or call our office 0400 778 050.